Got a case of the shop-a-holic blues? Let’s just say the shopping in Gurnee is beyond top notch. Take a look at all of the different options you have in Gurnee as you pull out your pocket books to trend better on the fashion world than any other hashtagged Kardashian. This mall has over 200 retailers. They’ve just celebrated their 25th anniversary and it’s the hip spot to go to get what’s hot and delicious in the fashion trends. Stores included in this mall include Macy’s, Charming Charlie, Lego, Tilly’s Aeropostale, Pink, Bass Pro Shop, Saks Fifth Avenue, Fifth Avenue, Sears, Hollister, Nike Factory Store, Gap, Neiman Marcus, Adidas and more. Ther’s also a movie theatre (Marcus Theatre) as well as Rink Side Family Entertainment Center. For eats there are plenty of options at the food court, or you can sit down at Rainforest Café, Portillo’s and other different options. 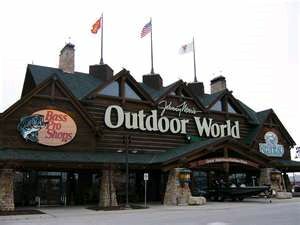 Bass Pro Shops has established itself as the prime destination for all your outdoor needs. Gorgeous waterfalls, giant aquariums, incredible wildlife mounts and more make Bass Pro Shops a must-see attraction for families around the world. For the best selection in hunting, fishing, camping, boating, archery, footwear and family clothing be sure to visit Bass Pro sporting goods store. Check out the boat and ATV showrooms or come in for a variety of outdoor skill workshops, including fly fishing and hunting. Enjoy kids and family events held throughout the year! Make Bass Pro your one stop place to shop! More than 100 dealers rotate their phenomenal wares through our 21,000 square feet of purpose-built space nearly every day, making the Gurnee Antique Market a trove of unique and eclectic finds sure to meet most tastes and temperaments. So, whether it’s a set of vintage suitcases, a firefighter helmet, a tramp art frame, a cozy leather club chair, or a period picnic basket for the next time you’re at Ravinia, chances are really good it can be found here.